Das RVHotels Apartamentos Torrevella bietet Ihnen 2 große Pools und schöne Gärten. Die Unterkunft liegt in der ruhigen Gegend von La Torre Vella, nur 4 km entfernt vom Ferienort L'Estartit an der Costa Brava. 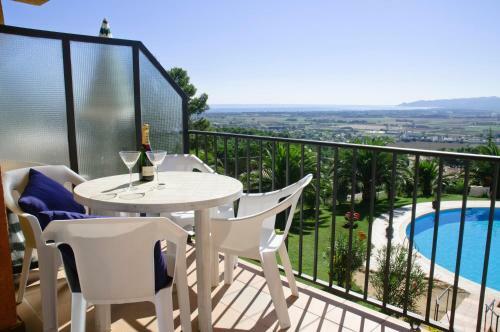 Alle Apartments des RVHotels Apartamentos Torrevella verfügen über einen Balkon mit Blick auf die Landschaft und helle, komfortable Schlafzimmer. Der Wohn-/Essbereich bietet ein Schlafsofa und einen TV. Eine ausgestattete Küche mit Utensilien ist vorhanden. Bettwäsche und Handtücher können Sie gegen einen geringen Aufpreis mieten. Auch ein Restaurant und eine Bar befinden sich in dem Komplex. Das Zentrum von Estartit erreichen Sie nach einer kurzen Autofahrt. Diese Stadt am Meer bietet Ihnen insgesamt 5 km Sandstrand. Die nahe gelegenen Medas-Inseln sind ein Unterwasser-Naturschutzgebiet und ideal zum Tauchen. War nachts leider sehr kalt, da keine Heizung vorhanden... aber im Sommer sicher top! Het is wel redelijk gehorig. El apartamento para 6 personas era muy amplio. económico y limpio. El horario de cierre de la piscina, a las 19 horas, y que no tiene aire acondicionado. Para tener 3 habitaciones solo tenía un baño. Prachtige omgeving. Scherpe prijs. Zeer vriendelijke mensen. Mooie zwembaden. 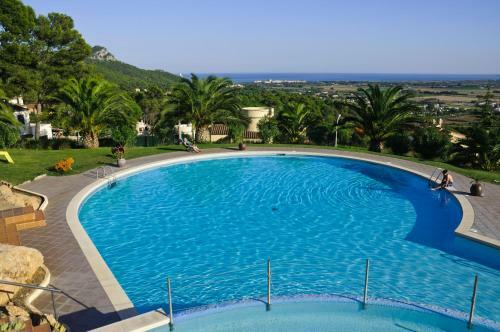 trés belle piscine bien entretenue,vue imprenable sur estartit,prix trés modérée. accés au appartement pas trés pratique,literie un peu vétuste,équipement minimaliste. 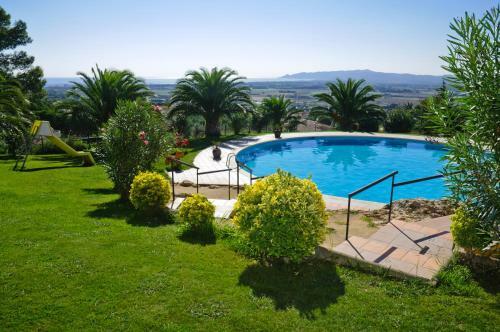 calidad-precio,tranquilidad,vistas,apartamento muy espacioso para 4 personas y zona piscina muy bien. en general por el precio pagado me gusto todo si vas buscando tranquilidad,por poner algo negativo que necesitas coche para ir a la playa al centro o a comprar. The pool area was not as big as expected We were told we had booked a two bed apartment which was confirmed via email but when we arrived we were told there are no two bed apartments. Luckily we were upgraded to a 3 bed but had the resort been full we would have been very disappointed. 2 dagen regen, maar ja!!!! Apartment itself was ok. Location is good if you have a car. We didn't like the staff's attitude and the way they do their business. It was unusually cold, and when we asked for a heater they first said they can give it for extra fee. After two rounds of talks we got a free heater, a lousy and noisy old one that stopped working two days later. They also charged us 11 eur per every watercooler bottle we used without prior warning that the water wasn't free. Towels cost extra, not included with bed linen. Also, many guests come with their dogs. Het eten in de club Torre vella is uitstekend. Prachtig uitzicht over de vallei de bergen en de zee. Le calme, la vue sur la mer, la piscine, l'exposition de l'appartement, la proximité d'un supermarché, le lave linge. Les terrasses. Les toilettes dans la salle de bains, pas forcément très bien lorsque nous sommes nombreux. Apartamentos amplios. Muy limpios. Urbanización muy tranquila. Piscina e instalaciones muy correctas. Excelente calidad precio. Con la atención adecuada, podia ser un buen apartamento. Apartamento húmedo y sin ningún tipo de calefactor que acondicionara la estancia. Ninguna respuesta por parte de las personas encargadas, con una falta total de atención que acabó con una hoja de reclamación por nuestra insatisfacción. La puerta del apartamento no cerraba, mantas co un fuerte olor a humedad, aseo con pérdida de agua... Ubicación apartada y difícil de encontrar. Total decepción.